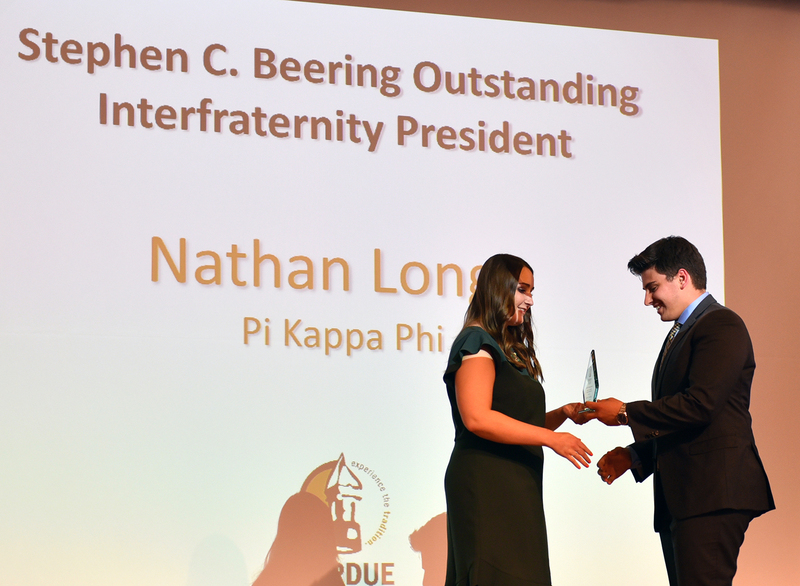 Pi Kappa Phi’s Nate Longo was honored as Purdue’s best fraternity president during an awards ceremony on April 8. Longo was selected from among eight nominees. “As president, Longo had the keen ability to bring guys together,” the nomination read. “Historically, the chapter has been blessed with outstanding leaders. Each brings his own contributions. With Longo, he had the ability to comprehend where all the chapter members were – from the new associate members to the most veteran. Longo, from Dublin, Ohio, maintains a cumulative 4.0 GPA in electrical engineering. He is the 2019 IFC president.